Good leaders may be independent and hardworking but they know that they can’t reach true success alone. Effective CEO’s know that it takes a team effort for their company to reach success, and even more importantly, they are not hesitant to seek and accept help. They recognize that asking for help is not a weakness, but rather a sign of strength to recognize when seeking help can lead to business growth. An article in Inc. Magazine included a statement that is a good reminder to all of us: “Running a business well is different than being good at a trade or profession.” As interior designers your skill set is in designing interiors – not necessarily in running a successful interior design business. Yet in order to do what you love, you need to also focus on operational success to be able to successfully practice your profession. Seeking help can create opportunities beyond just increasing the financial success of your company. You may reach out to key successful business people in your community with whom you have a relationship through networking, or possibly they have been clients of yours. You might offer to take them to lunch and use them as a sounding board or have a brainstorming session. You will not only receive key business pointers to help grow your business, but they may also be a wonderful referral source for you. If you have created a team atmosphere in your company where all members of the team realize the value of and are motivated to grow the business, then take advantage of that and of their input. Hold periodic brainstorming sessions to expand the ideas and solve challenges that may come up. 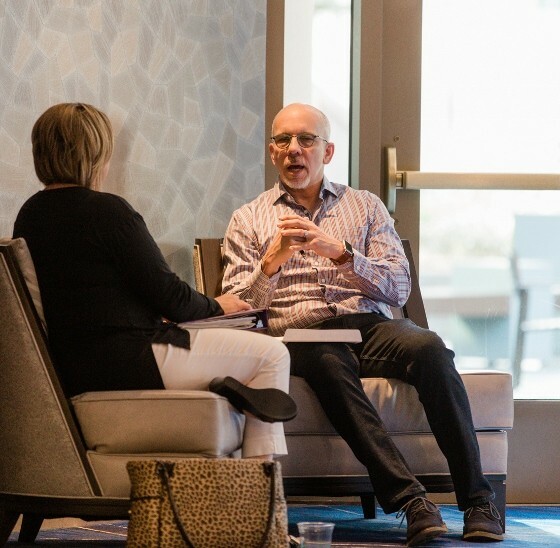 Take the time to connect with a business coach. No matter at what stage your business, they will make you work harder and advance faster that if you had not sought their help. They will take your outside of your comfort zone and you will get personal attention from someone who won’t be afraid of correcting you and giving you unbiased opinions. Having a business coach offers you help to get through all the noise in your head. They are someone with whom you can talk to about your true concerns and creates a confidential “space” to problem-solve, focus, and bounce ideas off of beyond what you might be able to do with family, friends or peers. A business coach will also help you increase your self-confidence while holding you accountable so you remain focused on CEO activities in your business.